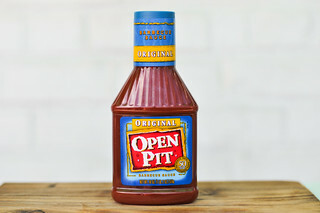 Starting with an overall bright and fresh taste, this sauce leans heavily into mustard pungency to make it unique, but also delivers all the other layers of barbecue flavor in an extremely well balanced manner to make it a sauce work seeking out. 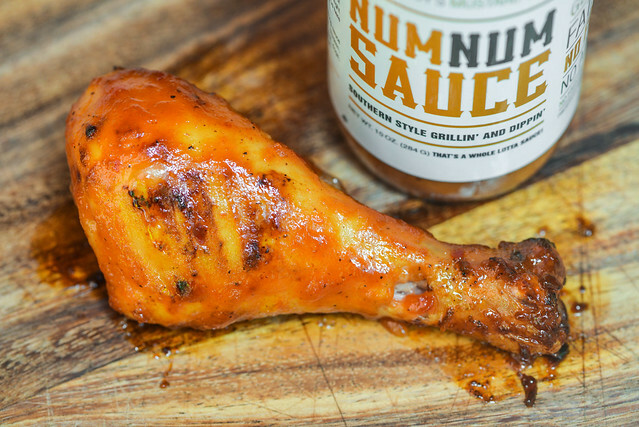 The origins of Num Num Sauce began all the way back in the 1940's with current owner Michael Lloyd's great-grandfather who started cooking barbecue sauce for family cookouts. 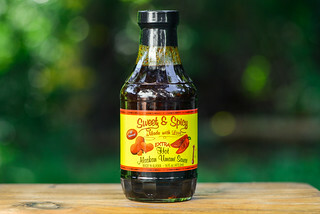 His sauce gained notoriety with family and friends, which led to putting it into commercial production under the name Faison & Faison BBQ Sauce. That first incarnation of the sauce ended in the 1960's, not to be resurrected until 2006 by Michael. Prior to venturing into the family barbecue sauce business, Michael graduated from Savannah State University in 2003 and ended up working in the pharmaceutical industry in Durham, NC. 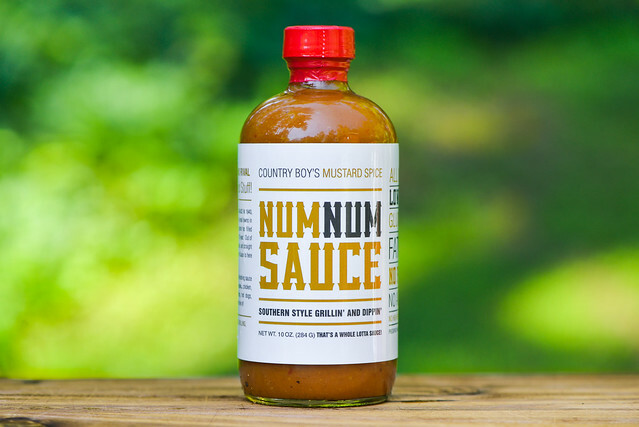 When he decided to take up the sauce business, he first got his family's blessing, then used his scientific background to tinker with and improve the recipe before bottling his sauces and selling them under a new brand, Num Num Sauce. Michael's sauce line-up currently has four different varieties that are available in select groceries around North Carolina and online. The first whiff of this sauce brings with it a strong mustard pungency that's slightly mellowed by sugar. Once you smell beyond that upfront mustard, there's a medium vinegar tang mixing in along with a sweet tomato. The more nuanced layers of the aroma include an earthy and peppery heat, some oniony notes, and just a faint hint of garlic. This orange hued sauce has a glossy sheen and is opaque, but it's still easy to some spices, mainly in larger red flakes and smaller white and black specs. The sauce has a medium-thin thickness with a mostly smooth consistancy that's only broken by the larger pieces of spices. From a suspended spoon, the sauce falls in a fast and uneven pour that quickly changes to semi-quick drips, then stops falling and leaves a thin coating of sauce left clinging to the silverware. The initial taste of this sauce is strongly mustard, but a quick hit of sugar brings a pleasing balance to the mustard pungency. 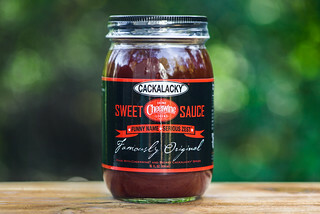 As the sauce settles on the tongue, that sweetness gains a ketchup-like flavor from tomatoes, then vinegar works its way in and starts to ramp up the tang. At this point, you get a bit of an oniony taste in the background along with a very small amount of garlic before the earthy peppers become the dominant spice. The heat of the peppers and tang of the vinegar increase at the same time at the end, which mingles with a lingering sweet and mustardy profile to leave a final tart, spicy, sweet, and pungent aftertaste. This sauce coated the chicken in a medium-thin, even layer that didn't completely bake down over indirect heat. This lead to a little sauce loss even before moving the leg to direct heat, and once right over the coals, the chicken lost even more sauce and what stuck showed only light caramelization. Despite a thin sauce layer, the flavor stayed very consistent from out of the jar. There was a bright and fresh blend of mustard and tomato with a sweetness kept in check by tangy vinegar and spicy peppers. Notable was a lack of grittiness, which can be common among mustard-based sauces after being cooked. It's been over year since I last picked up and tried a Num Num Sauce, but my initial very positive impression has always stuck with me. So I was happy that this Mustard Spice recipe continued that perception and further solidified my love for these sauces. Out of the jar, this sauce had a really fresh taste with a profile that was extremely balanced with a progression of flavors that kept me wanting to eat spoonful after spoonful. Despite some burn off during grilling, the flavor remained strong and consistent with out of the jar, making this a versatile, all-purpose choice. 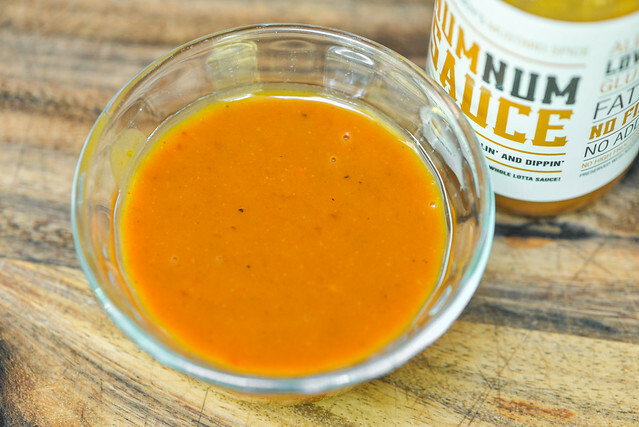 It was probably my favorite mustard based sauce I've ever tried, and if you're into the pungency and extra tartness created by a mustard base, this sauce is worth going out of your way to get your hands on it. That flavor paired really well with chicken, and would be equally excellent on pork and probably seafood too. I'd personally opt for those types of lighter flavored meats so you can taste all the great stuff going on, which could get a little lost on something more powerful on its own, like beef.